At the global level, simple models representing the expansion of sea water and melting/sliding of land-based ice sheets and glaciers were used in the TAR to obtain estimates of globally averaged mean sea-level rise across the SRES scenarios, yielding a range of 0.09 to 0.88 m by 2100 relative to 1990 (Church et al., 2001). This range has been reassessed by WG I, yielding projections relative to 1980-1999 for the six SRES marker scenarios of B1: 0.18 to 0.38 m, A1T: 0.20 to 0.45 m, B2: 0.20 to 0.43 m, A1B: 0.21 to 0.48 m, A2: 0.23 to 0.51 m, and A1FI: 0.26 to 0.59 m (Meehl et al., 2007). Thermal expansion contributes about 60 to 70% to these estimates. Projections are smaller than given in the TAR, due mainly to improved estimates of ocean heat uptake but also to smaller assessed uncertainties in glacier and ice cap changes. However, uncertainties in carbon cycle feedbacks, ice flow processes, and recent observed ice discharge rates are not accounted for due to insufficient understanding (Meehl et al., 2007). A number of studies have made use of the TAR sea-level scenarios. In a global study of coastal flooding and wetland loss, Nicholls (2004) used global mean sea-level rise estimates for the four SRES storylines by 2025, 2055, and 2085. These were consistent with climate scenarios used in parallel studies (see Section 2.4.6.4). Two subsidence rates were also applied to obtain relative sea level rise in countries already experiencing coastal subsidence. The United Kingdom Climate Impacts Programme adopted the TAR global mean sea-level rise estimates in national scenarios out to the 2080s. Scenarios of high water levels were also developed by combining mean sea-level changes with estimates of future storminess, using a storm surge model (Hulme et al., 2002). SRES-based sea-level scenarios accounting for global mean sea level, local land uplift, and estimates of the water balance of the Baltic Sea were estimated for the Finnish coast up to 2100 by Johansson et al. (2004), along with calculations of uncertainties and extreme high water levels. al. (2007) and Chapter 6 of this volume. 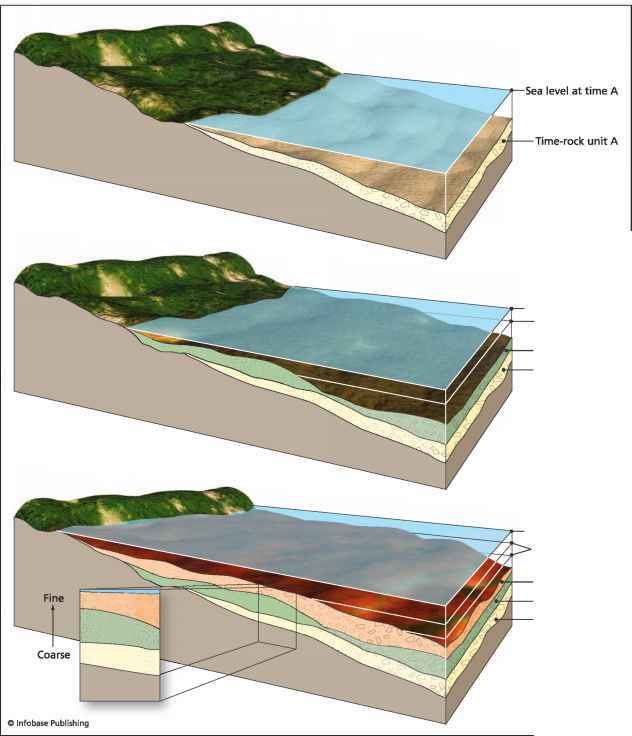 Examples of SRES-based sea-level scenarios are provided in Box 2.5. Sea level does not change uniformly across the world under a changing climate, due to variation in ocean density and circulation changes. Moreover, long-term, non-climate-related trends, usually associated with vertical land movements, may affect relative sea level. To account for regional variations, Hulme et al. (2002) recommend applying the range of global-mean scenarios ±50% change. Alternative approaches utilise scenario generators. The Dynamic Interactive Vulnerability Assessment (DIVA) model computes relative sea-level rise scenarios using either global-mean or regional patterns of sea-level rise scenarios from CLIMBER-2, a climate model of intermediate complexity (Petoukhov et al., 2000; Ganopolski et al., 2001). CLIMsystems (2005) have developed a software tool that rapidly generates place-based future scenarios of sea-level change during the 21st century, accounting for global, regional, and local factors. Spatial patterns of sea-level rise due to thermal expansion and ocean processes from AOGCM simulations are combined with global-mean sea-level rise projections from simple climate models through the pattern-scaling technique (Santer et al., 1990). Users can specify a value for the local sea-level trends to account for local land movements. In many locations, the risk of extreme sea levels is poorly characterised even under present-day climatic conditions, due to sparse tide gauge networks and relatively short records of high measurement frequency. Where such records do exist, detectable trends are highly dependent on local conditions (Woodworth and Blackman, 2004). Box 6.2 in Chapter 6 summarises several recent studies that employ extreme water level scenarios. Two methods were employed to develop these scenarios, one using a combination of stochastic sampling and dynamic modelling, the other using downscaled regional climate projections from global climate models to drive barotropic storm surge models (Lowe and Gregory, 2005). Socio-economic changes are key drivers of projected changes in future emissions and climate, and are also key determinants of most climate change impacts, potential adaptations and vulnerability (Malone and La Rovere, 2005). Furthermore, they also influence the policy options available for responding to climate change. CCIAV studies increasingly include scenarios of changing socio-economic conditions, which can substantially alter assessments of the effects of future climate change (Parry, 2004; Goklany, 2005; Hamilton et al., 2005; Schröter et al., 2005b; Alcamo et al., 2006a). Typically these assessments need information at the sub-national level, whereas many scenarios are developed at a broader scale, requiring downscaling of aggregate socio-economic scenario information. Guidelines for the analysis of current and projected socioeconomic conditions are part of the UNDP Adaptation Policy Framework (Malone and La Rovere, 2005). They advocate the use of indicators to characterise socio-economic conditions and prospects. Five categories of indicators are suggested: demographic, economic, natural resource use, governance and policy, and cultural. Most recent studies have focused on the first two of these. The sensitivity of climate change effects to socio-economic conditions was highlighted by a series of multi-sector impact assessments (Parry et al., 1999, 2001; Parry, 2004; see Table 2.3). Two of these assessments relied on only a single representation of future socio-economic conditions (IS92a), comparing effects of mitigated versus unmitigated climate change (Arnell et al., 2002; Nicholls and Lowe, 2004). The third set considered four alternative SRES-based development pathways (see Box 2.6), finding that these assumptions are often a stronger determinant of impacts than climate change itself (Arnell, 2004; Arnell et al., 2004; Levy et al., 2004; Nicholls, 2004; Parry et al., 2004; van Lieshout et al., 2004). Furthermore, climate impacts can themselves depend on the development pathway, emphasising the limited value of impact assessments of human systems that overlook possible socio-economic changes. The advantages of being able to link regional socio-economic futures directly to global scenarios and storylines are now being recognised. For example, the SRES scenarios have been used as a basis for developing storylines and quantitative scenarios at national (Carter et al., 2004,2005; van Vuuren et al., 2007) and sub-national (Berkhout et al., 2002; Shackley and Deanwood, 2003; Solecki and Oliveri, 2004; Heslop-Thomas et al., 2006) scales. In contrast, most regional studies in the AIACC (Assessments of Impacts and Adaptations to Climate Change in Multiple Regions and Sectors) research programme adopted a participatory, sometimes ad hoc, approach to socio-economic scenario development, utilising current trends in key socioeconomic indicators and stakeholder consultation (e.g., Heslop-Thomas et al., 2006; Pulhin et al., 2006). Methods for downscaling quantitative socio-economic information have focused on population and gross domestic product (GDP). The downscaling of population growth has evolved beyond simple initial exercises that made the sometimes unrealistic assumption that rates of population change are uniform over an entire world region (Gaffin et al., 2004). New techniques account for differing demographic conditions and outlooks at the national level (Grübler et al., 2006; van Vuuren et al., 2007). New methods of downscaling to the sub-national level include simple rules for preferential growth in coastal areas (Nicholls, 2004), extrapolation of recent trends at the local area level (Hachadoorian et al., 2007), and algorithms leading to preferential growth in urban areas (Grübler et al., 2006; Reginster and Rounsevell, 2006). Downscaling methods for GDP are also evolving. The first downscaled SRES GDP assumptions applied regional growth rates uniformly to all countries within the region (Gaffin et al., 2004) without accounting for country-specific differences in initial conditions and growth expectations. New methods assume various degrees of convergence across countries, depending on the scenario; a technique that avoids implausibly high growth for rich countries in developing regions (Grübler et al., 2006; van Vuuren et al., 2007). GDP scenarios have also been downscaled to the sub-national level, either by assuming constant shares of GDP in each grid cell (Gaffin et al., 2004; van Vuuren et al., 2007) or through algorithms that differentiate income across urban and rural areas (Grübler et al., 2006). Table 2.3. Key features of scenarios underlying three global-scale, multi-sector assessments: [a] Parry et al. (1999); ¡b] Arnell et al. (2002); [c] Parry (2004).